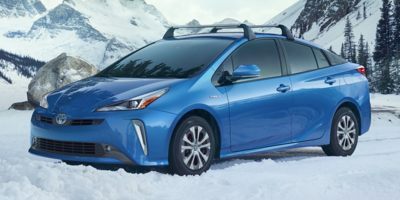 The 2019 Toyota Prius is a 5 passenger Automatic transmission, 4-door Mid-Size Passenger Car. It is available in 4 trim packages, the L Eco, LE, Limited, and XLE. The new Toyota Prius invoice price ranges from $22,344 to $29,975, while MSRP ranges from $23,770 to $32,200. The 2019 Toyota Prius is available in 8 exterior colors, Blizzard Pearl, Classic Silver Metallic, Electric Storm Blue, Magnetic Gray Metallic, Midnight Black Metallic, Sea Glass Pearl, Super White, and Supersonic Red, and 3 interior colors, Black, Harvest Beige, and Moonstone.